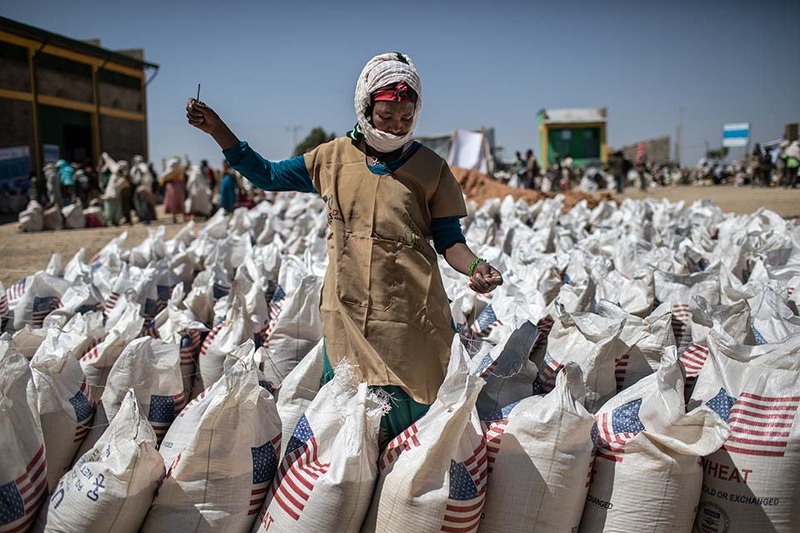 A scooper opens bags of wheat at a distribution point in Hawzen district in Ethiopia, At its peak the project served 2.8 million people a month. In 2016 CRS oversaw a USAID-funded Joint Emergency Operation in five regions of Ethiopia that dispensed more than 383,500 metric tons of food, reaching an average of 2.8 million people each month. With more than 250 distribution points, the project’s massive scope and the country’s challenging environment threated potential for significant loss of food aid. Success meant getting as much of the food as possible to families facing starvation during the drought. To maximize accountability, stewardship and impact, CRS was eager to ensure the success of its huge food distribution system, which included a network of more than 250 food distribution points across five regions of Ethiopia. CRS identified 10 risk factors that lead to loss of food aid: such as poor warehousing, mishandling during transport, environment factors like floods and landslides (parts of Ethiopia are very mountainous), and human factors such as conflict and misappropriation of the food. The CRS funded and designed a commodity risk-management system to minimize loss and maximize success. It measured risk of loss at each of the 250 plus sites. The system enabled teams to focus their limited time and resources most effectively to address issues like poor warehousing, a potentially dangerous location or too great of distance for beneficiaries to travel. 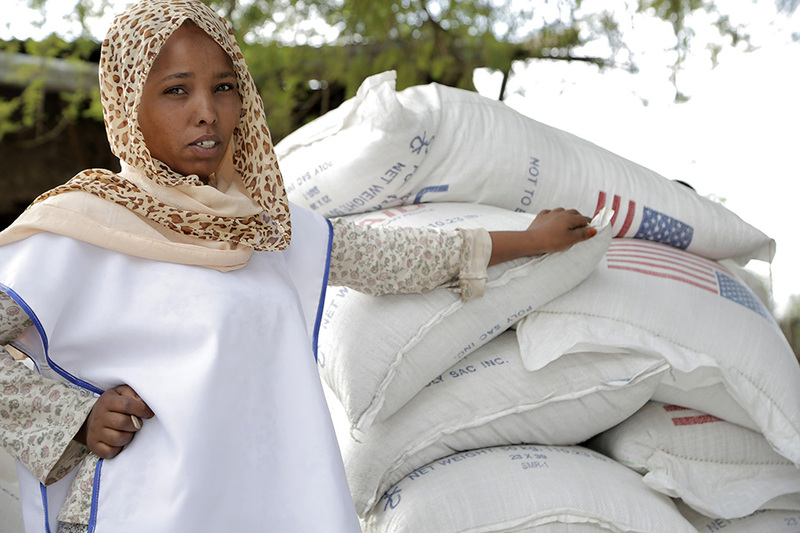 Of the 383,554 metric tons of food aid distributed across Ethiopia over a year, just $6,000 worth was unaccounted for. That’s about 0.0024% of the total. Ethiopia faced its worst drought in 50 years, devastating to the 80% of Ethiopians who rely on mostly rain-fed agriculture for their food and income. The project continued during FY17, when CRS, partnering with the Government of Ethiopia, will reach 1.4 million people in urgent need of food aid.